“After 5 seasons of mainstage performances and as of last year, after-school acting classes, we expand the educational impact of our mission with a first session of summer camp, and we are so excited and grateful to be hosted by Hanger Hall, a unique learning environment and beautiful campus located minutes from downtown” says ACA co-founder Abby Felder. Summer Theatre Camp will round out ACA’s seasonal offerings of mainstage productions held at Magnetic 375: FAILURE: A Love Story (April 5-15, 2018) and BUGS! (July 19-29, 2018), plus the launch of its mobile unit with the touring puppet musical, SLUG & SNAIL, and the continuation of its Incubator Series for new works with a public staged reading of PETE & PICKLES. Asheville’s critically acclaimed, award winning theatre devoted to creating works for children of all ages, Asheville Creative Arts was founded in 2013. ACA has the following mission: To produce, present and create professional and innovative theatre for the very young to the young at heart, and embrace diverse cultures with a main stage season of productions of musical, literary adaptations, and puppet based work that push the boundaries of children’s theatre; to train the next generation of artists; and to ensure that all families in Western NC and beyond have access to theatre arts through outreach such as touring, and “in-reach” such as specially discounted performances for school and community groups. In honor of contributions to the cultural landscape, Asheville Mayor Esther Manheimer declared July 18, 2014 “Asheville Creative Arts Day;” and ACA has been awarded Grassroots Partnership Awards- a grant from the NC Arts Council, with funding from the National Endowment for the Arts, distributed by the Asheville Area Arts Council, as well as Puffin Foundation West. Scott Fisher moved to Asheville in 2007, and considers himself a successful transplant. 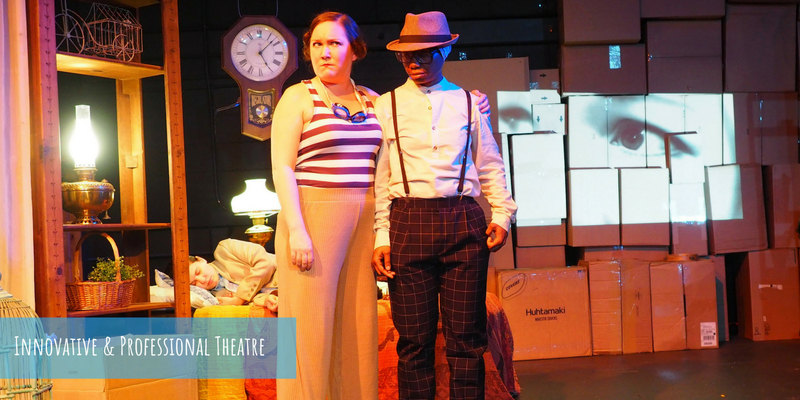 He has put his BA in Theatre Arts to good use in the last 10 years, mostly with The Magnetic Theatre, Attic Salt Theatre Company, and Different Strokes Performing Arts Collective. Scott enjoys acting, singing, writing, directing, lighting, and costuming. During the daytime hours, he is a teacher with Asheville City Schools, where he has been “acting like a teacher” for the last six years. Scott is very excited about combining his two passions, teaching and theatre, to launch this new summer camp. Katie Jones is a director, performer, puppeteer, producer, and arts educator. She has worked in the education and artistic departments of Asolo Repertory Theatre, Northlight Theatre, American Theater Company, Von Orthal Puppets and Steppenwolf. Katie served as an artist-in-residence in Chicago Public Schools, Colorado Public Libraries, and was a performer/assistant director with Kaleidoscope, a theatre program for adults with special needs. Katie teaches storytelling at Catawba Valley Community College, writing courses for the Council on Aging of Buncombe County, and creative drama for the Bright Ideas program at Isaac Dickson Elementary School. She serves as Festival Director for the Asheville Fringe Arts Festival, as Artistic Associate at The Magnetic Theatre and as a Resident Artist with Asheville Creative Arts. LISTINGS INFORMATION: Summer Theatre Camp runs June 25-29, 2018 from 9am-5pm. Registration is $275 with scholarships available. 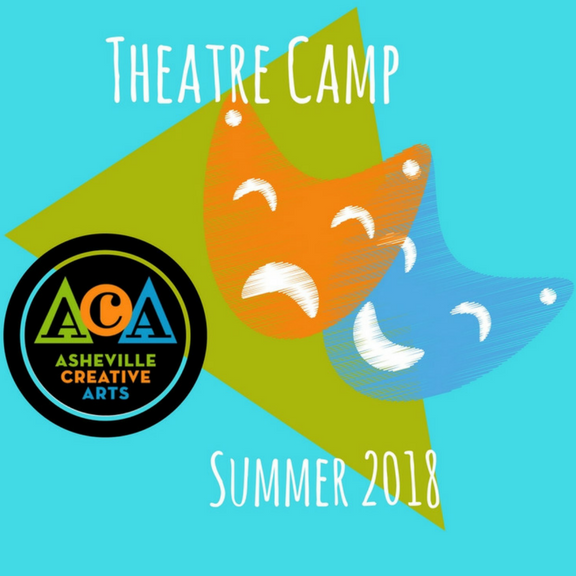 Visit Asheville Creative Arts’ website for registration forms for Summer Camp. Additional info email info@ashevillecreativearts.org or call 914/830-3000, learn more about ACA’s 6th Milestone Season available at www.ashevillecreativearts.org.